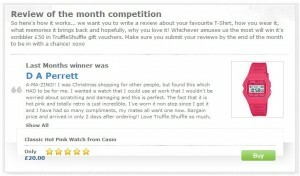 We love a good ol’ competition here at Truffle Towers and we’ve got a corker for you this week. Our web-techie-geek-nerd-developer Dave (yes, him in the outfit) has been squirreling away all week making our wishlist function loads better than ever before. Now you can share your wishlist publically and socially, so anything you fancy from TruffleShuffle can now be easily nudged and hinted towards your nearest and dearest. You can share by email if you need to be obvious to Mum & Dad, subtly post it to your Facebook wall for a surreptitious prod in your friends’ directions, or post it publicly to Twitter in the vain hope that random members of the public love you enough to buy you presents. We want you to start sharing your Christmas wish lists, so we thought of a cunning way of getting you what you want without paying for it… simply share to win – the wishlist with the most unique views next Friday (30th November) will be sent to it’s creator absolutely free! And if you don’t win, you’ve shared it with your nearest and dearest, so with Christmas coming up, someone might buy it for you anyway! 5. The wishlist with the most unique views between 23rd and 30th November will go to it’s creator FREE OF CHARGE! Competition! Halloween Sweets & T-Shirt Giveaway! Competition time! Yep it’s that time again folks! 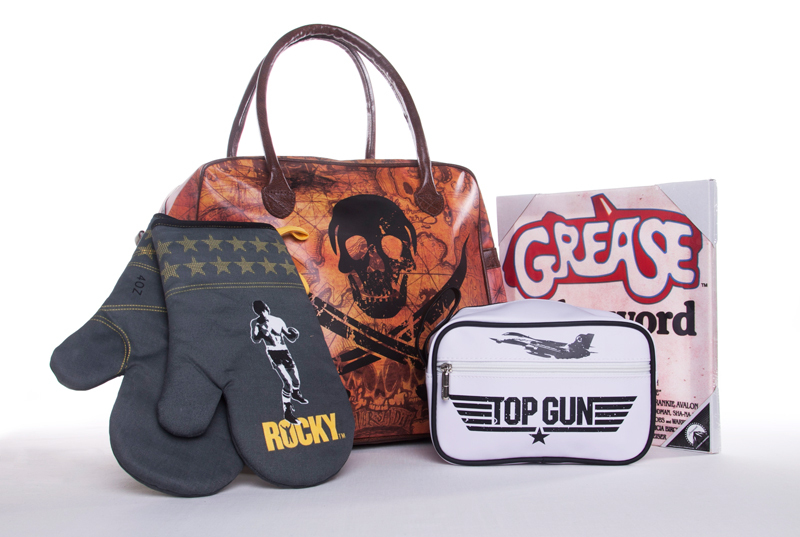 We’re giving you lucky lot the chance to win all of this! 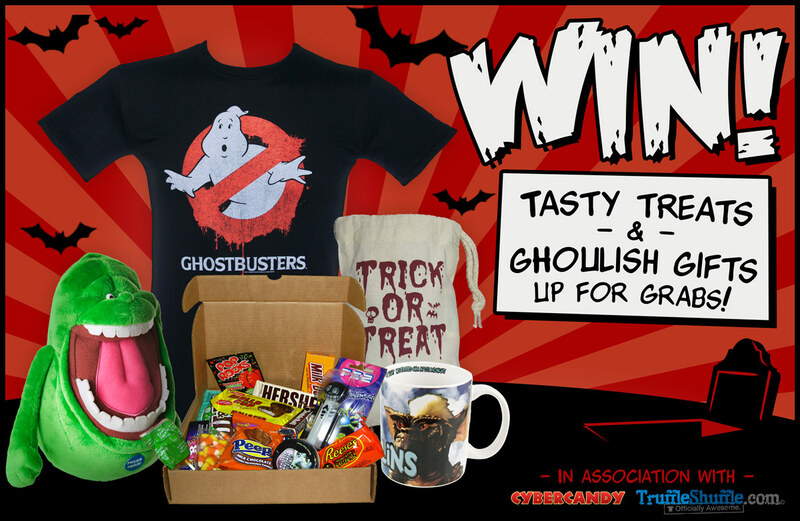 Worth over £60, the main prize includes a CyberCandy Halloween Gift Box, a Ghostbusters plush Slimer toy, a Ghostbusters t-shirt (of your choice) and a Gremlins mug! But that’s not all! We’re also giving a massive 5 runners up each a 500g bag of premium American candy (unwrapped) including candy corn, marshmallow peanuts, spice gums, good n plenty, wonka runts and many others! Yum! To be in with a chance of wining all of this, simply complete the Raffle Copter form below and follow the instructions. You’ll earn one entry for each thing you do. Easy! When the competition closes on Monday 29th at 11.59pm, our lucky winners will be picked totally at random by the Raffle Copter system on Tuesday morning to keep it nice and fair. We’ll be announcing our winners out on facebook and twitter as well as a special closing blog post on our blog. Competition!! 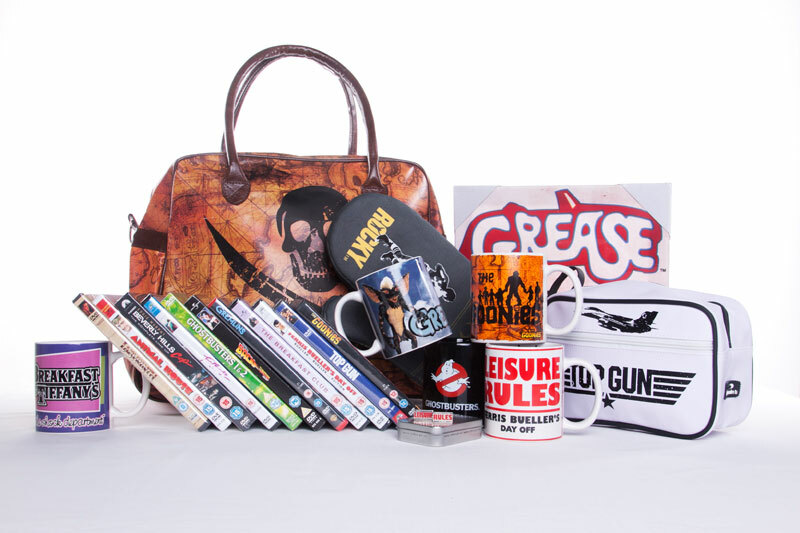 Win a Retro DVD & movie gift package worth over £180! Calling all retro movie fans! Have we got a brilliant giveaway for you! Yup – we’re offering you guys the chance to really complete your DVD collection with this truly retro-tastic bundle of our ultimate 80′s films as well as a whole heap of matching retro goodies! The Goonies (of course! ), Ghostbusters 1&2, Back to the Future, Gremlins, Labyrinth, Top Gun, Animal House, The Breakfast Club, Ferris Bueller’s Day Off, Beverly Hills cop 1-3, and finally Footloose! 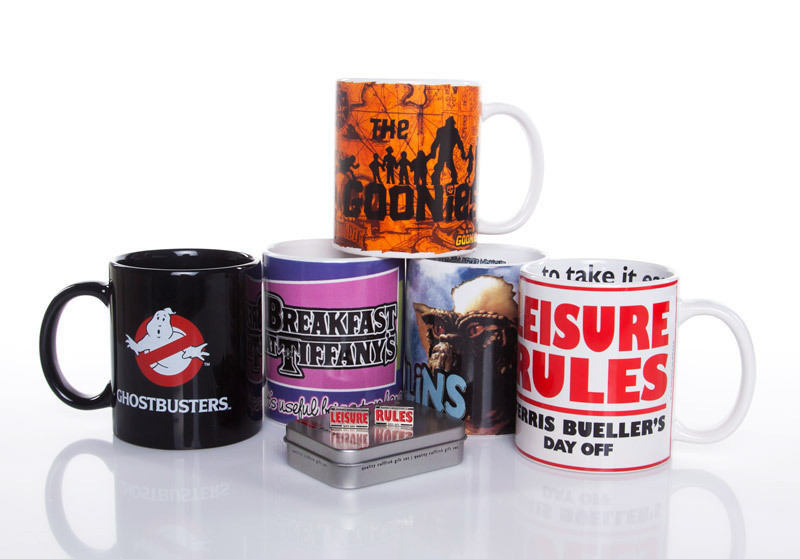 Not only that, we’ve also thrown in our very own goodies including; Our Goonies map and logo overnight bag, Rocky oven gloves, Top Gun wash bag, Grease canvas print, Ferris Bueller cuff links as well as some tea-riffic retro mugs inspired by Ghostbusters, Goonies, Gremlins, Ferris Bueller and Breakfast at Tiffany’s! Phew! For your chance to win this truly amazing collection, all you have to do is become a TruffleShuffle blog follower by subscribing to our RSS feed. To do this, simply click on the link below and follow the instructions which will appear on screen- making sure you enter your email address correctly. The competition will close on Friday 18th May at 3pm and our lucky winner will be chosen and contacted directly before 4pm the same day. Your email address will be securely held by us only and will be used to notify you of our recent blog updates. Rest assured we will never pass on any information onto third parties or external businesses. Our big winner with be announced on our blog as well as being contacted directly using the email address provided upon entry. So that’s it folks – an absoltuely amazing prize and to be in with a chance of winning is as easy as pie so what are you waiting for! 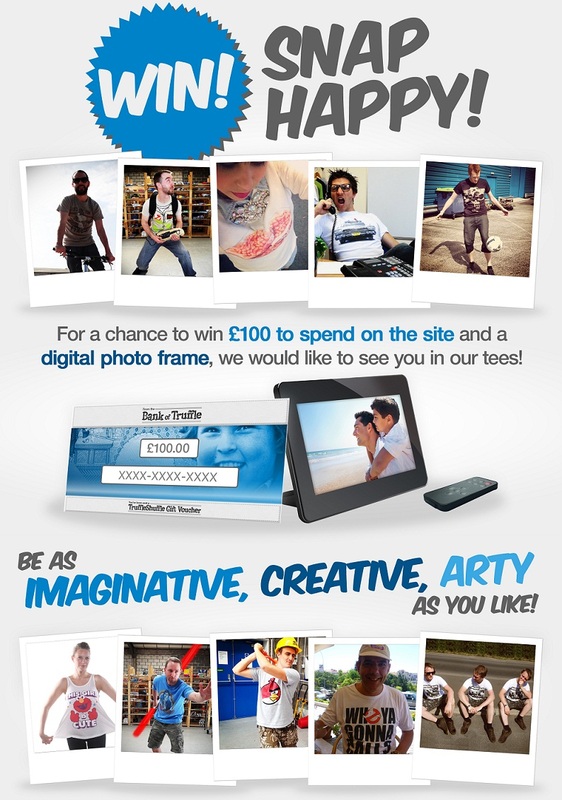 Get your entries in pronto and then keep your fingers crossed! It’s that time again! With the month of February approaching – we are on the lookout for Januarys Review of the Month. We absolutely love hearing all about your TruffleShuffle experiences – how quickly your order arrived, what you ordered, how the t-shirt fits, and why you love it so much. It really couldn’t be easier – all you have to do is find your newly purchased item on the site, and click to add a review. We will then choose our favourite, and award them £50 to spend on the site. Why not submit a review on a recent purchase and perhaps spend the winnings on your loved one for Valentines Day? Recently added to our social networking list is Tumblr! We have recently started ‘Tumbling’ lots of exciting products coming to the site, random fun 80’s facts, celebrities spotted rocking their TruffleShuffle tees and pretty much anything we think you’ll love. Click here to follow us on Tumblr.